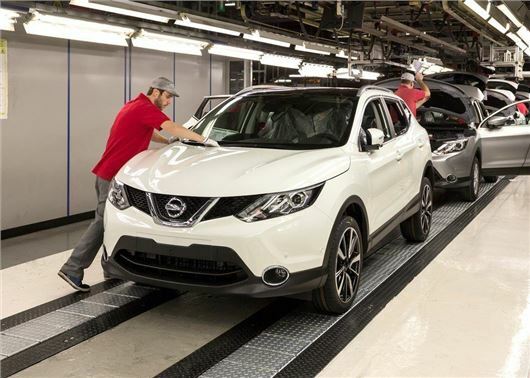 New car prices will increase in the coming weeks as the devaluation of the pound makes it more expensive for manufacturers to import vehicles to the UK, experts have claimed. The warning came after figures, published by the Society of Motor Manufacturers and Traders (SMMT), show that new car sales reached a record high in 2016 with 2,692,786 registrations - a figure that's up 2.3 per cent on the previous year. According the SMMT's chief executive, Mike Hawes, prices will increase by "two or three per cent" in the first quarter of 2017, with the slump in the pound being blamed. Britain imports 86 per cent of its new cars and an increase of three per cent would add £570 to the price of a Ford Focus Zetec, which currently sells for £19,095. Even vehicles that are built in the UK are going to become more expensive, due to the fact that 60 per cent of all car parts are shipped in from other countries. "We are expecting manufacturers to increase new car prices over the coming months." The National Franchised Dealers Association (NFDA) has echoed the SMMT's fears, saying there will be an increase in new car prices over the coming months "due to the weakening of sterling against the Euro and US Dollar and the consequential increase in UK inflation rates." The SMMT also believes that new car sales will fall as the market stabilises after years of record growth. However, even though demand is expected to fall by as much as five per cent and prices increase by three per cent, the overall picture remains positive. "The new car market has been remarkably buoyant over the past five years and demand will remain extremely strong," said Tamzen Isacsson director of communications of the SMMT. "We believe the market peaked in 2016 and registrations will probably dip by five or six per cent in 2017. However, even after you take this into account, car sales will remain strong and should easily exceed 2.4 million units in 2017." Learners should not be taken on to a motorway. A new set of regulations would be required of course. Perhaps after passing a test, and have been assessed as suitable - in temperament - by their instructor, and with a plate showing a suitable identifier - letter 'M' perhaps. Some newly qualified drivers may never need to use a motorway, so they wouldn't have to bother. Motorway qualification should become like vehicle qualification added to a license. Part 1 - learning to operate and understand how to control a car, eg - gear changing, hill starts, reversing, use of brakes etc. This could be done on land developed and marked out for this purpose without the added pressure of coping with traffic. For some it could be just one session, for others it may last a long time. Once their instructor assesses them as a competent car driver they can move on to the road. The training sites could be developed and funded by the larger training organisations, instructors could hire them for their students, even using older cars if appropriate. Part 2 - when assessed as 'ready' which should include car control, ability/temperament and highway code knowledge, on to the road to learn how to drive. Then take their driving test when ready. If they pass, their instructor should assess them for Motorway tuition if the newly licensed driver requires. Learner drivers at present have to learn how to 'control' a car in traffic, not ideal even in an auto. We would end up with more confident and well schooled new license holders if the above were adopted. If you strip out taxes from the price of cars you find that UK buyers have been paying more than other European and US buyers for years so my message to the SMMT would be - "don't take us for idiots, we will just buy fewer of your members cars if you increase your prices and if you think a 2017 slump will be likely due to the pound you'd better brace yourself for the effect of reciprocal tariffs. We don't have to renew our cars every couple of years ! " Why didn't these 'experts' whinge-on about this in 2008 when the pound was devalued 33%, far more that the 18% against the dollar now. And for several years since, the pound was much weaker than the Euro than now, including almost parity for many months.